Printed circuit boards are now available in an array of colours, allowing hobbyists and manufacturers the opportunity to achieve a "signature" look. 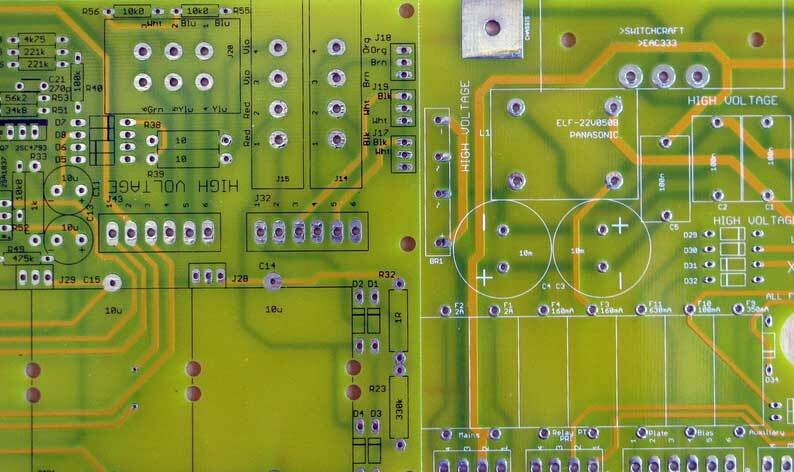 London Power has traditionally used green PCBs, but lately we wanted to see what yellow boards would look like. The obvious choice for the silk-screened printing on the green boards had been white, but what about the printing on yellow boards? We weren't sure. We searched the web for examples and could find none. The manufactuer of our boards had no images, either. So, we ordered a small quantity of yellow boards with white printing, and a small quantity with black printing. Below is an image that you can examine. Both the black and the white printing are quite visible and legible. We decided that black was somewhat easier to see in all lighting conditions.